There’s a good chance that after I leave the United States to go to Oxford, I will not be allowed back, because of DACA’s uncertain status. Jin Park in Harvard Yard. I am a “Dreamer,” brought to the United States as a child and now permitted to stay under the Deferred Action for Childhood Arrivals program. I’ve lived since the age of 7 under a narrative of achievement that holds that even though we’re undocumented, if we work hard, develop our talents, and contribute economically to the United States, we will somehow get to stay here and realize the American dream. And I believed it. 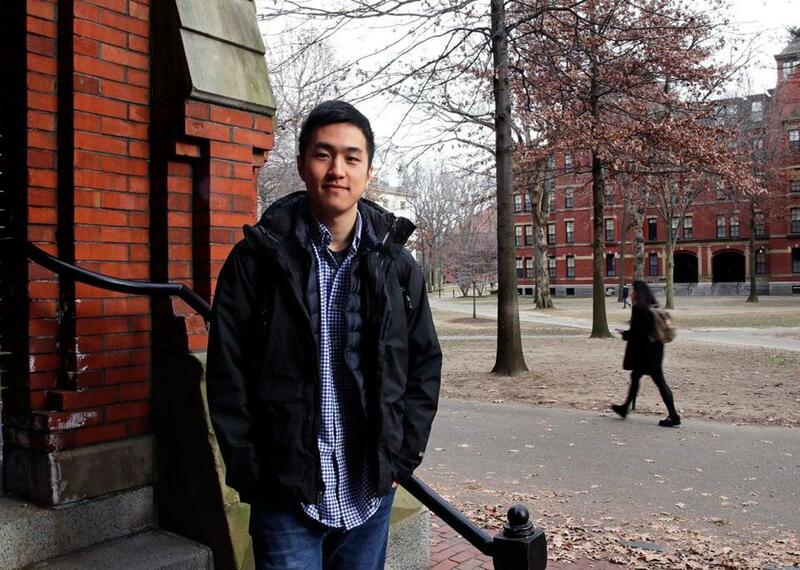 I have worked hard to keep my part of this bargain with the country I call home, and I think I am holding up my end of the deal: I recently graduated from Harvard, and I am the first DACA recipient to be awarded a Rhodes Scholarship. In England, I will work toward graduate degrees in epidemiology and political philosophy, which will help me in my intended career as a physician and policy maker. But there’s a good chance that after I leave the United States to go to Oxford, I will not be allowed back, because of DACA’s uncertain status . The new Congress could create a path to citizenship for me and my fellow Dreamers. And if Congress fails yet again, as a Rhodes Scholar, I have other paths to citizenship, thanks to my “extraordinary potential.” In the last few months, well-meaning people from across the political spectrum have told me that I deserve citizenship because of my talents. But here’s a question our legislators are not answering: What does it mean for someone to deserve citizenship? I am skeptical of arguments that link citizenship for immigrants to achievement. The things we achieve are largely a matter of luck and happenstance, based on who our parents are, where we live, and random chance. Of course, personal motivation and ambition do affect how these factors play out in an individual life. But even work ethic and conscientious drive — features that are central to the American ethos of rugged individualism — are contingent on upbringing and broader social mores. Meanwhile, Americans don’t believe that a person’s fundamental liberties — rights to free speech, to a fair trial, and so forth — should be distributed according to achievement. Instead, as manifested in the Constitution, everyone is endowed with those liberties simply by virtue of their humanity. But not being a citizen restricts my own fundamental liberties. Because undocumented immigrants cannot vote or run for office and can be deported for speaking out about our status, we cannot partake in the political process. And when we protest or assemble, there is always the risk of drawing unwelcome attention from immigration officials. The problem with tying citizenship to achievement is clear: Fundamental liberties are given out for arbitrary factors. I’m proud of what I have accomplished, but I don’t think what I’ve done makes me more deserving of citizenship than other Dreamers, or undocumented US residents in general. The Constitution itself, in the 14th Amendment’s citizenship clause, uses an intentionally broad definition of citizenship that is not tied to achievement, status, or social standing. In this way, Abraham Lincoln’s “safeguards of liberty” were legally enshrined, if not always enforced, for emancipated slaves in the Reconstruction Era. How should societies distribute citizenship? It’s a profoundly difficult question, but for our current immigration impasse, it would be wise to follow the “fair game” of cooperation model set out by the political philosopher John Rawls. Rawls argued that a just society is one where all members are subject to the same rules, and following those rules secures equal opportunity for all other members. It’s intuitive, really: In a fair game, participants follow a set of rules, and work to ensure those rules apply consistently to all players. Most undocumented immigrants follow the laws, rules, and customs of our society. This means that your life is enabled by the broader systems — health, safety, education, work — sustained by the undocumented immigrants who live alongside us. Undocumented immigrants — all 11 million of us — support the various threads of American life. We take care of you in hospitals and nursing homes, pay taxes to keep your Medicare benefits solvent, tutor your sons and daughters in school, and hold the door for you in the supermarket. We form friendships, raise children, go to church, and coach Little League — these ties are demonstrable. We are connected to you, and you are connected to us. These things, these bonds of affection between particular people, are the first links in the chain that makes us not only members of our communities, but also Americans. In fact, without undocumented immigrants, our game of society would be like blackjack played with a deck missing more than a few cards. I don’t want to see Dreamers rewarded for our hard work, but because we stand among you and jointly hold up the institutions, norms, and practices that make our American game of society viable. As Congress considers various legislative proposals to regularize the status of Dreamers like myself, its members must understand that undocumented immigrants are already a part of the country’s institutions and practices. This is our home, and we help make this nation what it is. Without its 11 million undocumented immigrants, America would be unrecognizable. We are just waiting for Congress to realize this fact. Jin Park is a Define American fellow. He begins his studies at Oxford University in October. Send comments to magazine@globe.com. Get the best of the magazine’s award-winning stories and features right in your e-mail inbox every Sunday. Sign up here.